The journey of life sure is an interesting one, packed with twists and turns, flips, back flips, and quite a few head-spins. One of the things I find most interesting is how much we change, how frequently we change, and how difficult is seems to reconcile the many versions of ourselves. 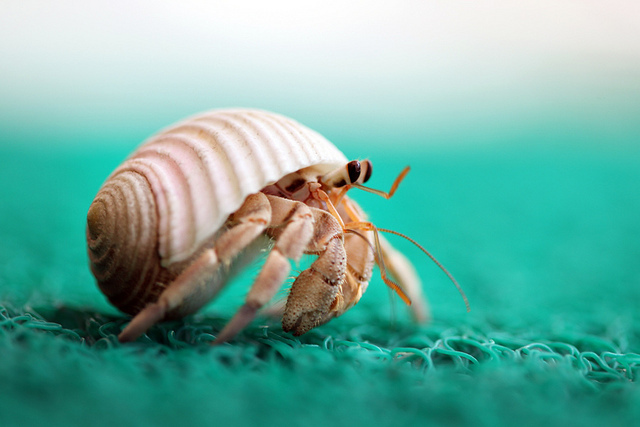 Maybe some of you fit in a pretty little box that never changes, but I am more like a hermit crab constantly finding a new shell. I am Fifty Shades of Erin. There are things in my past I would never want to repeat and things that I am not proud of; but I do know that every little thing has shaped me into who I am today, and because of that I wouldn’t change a step. Where I am now is a result of all of those things. Every last one. All of the people that I helped and people that I hurt. All of the things I learned and trouble I made. All of the people I kissed and the ones that I dissed. All of the people that harmed me and all of the people that helped me. Yup, every choice and moment has led me here. It’s honestly amazing to me, how that young girl has become the woman I am today. It’s amazing how her outlook has changed. How she was once glass half full, then glass half empty, and back to glass half full. How she trusted in the good in people, felt everyone had an agenda, thought the world might end, that there was a master conspiracy, and that love heals all. How she thought she wanted to be a photographic journalist, an economist, a financial planner, a business owner, a writer. How she wanted to be married with children, single and in the city, how she just wanted to be happy. How she cared about others first, thinking that was selfless, only to learn she must care for herself first before she can properly care for others. How she thought being a good friend was making others happy and later learned it’s about being authentic. As you change, some friendships and relationships deepen and others fall by the wayside. Some go quietly and some go with a fight. Some jobs change and other times you change your job. With all of the people that have come and gone, houses I have moved into and out of, jobs that have given me a paycheck and those that I have given my two weeks notice to, there is one resounding similarity: I could never have planned or predicted the change. At least not in the beginning. While I am learning to accept the past and to be grateful for everything that has lead me to this moment, so too am I learning to invest less into what I think my future should hold or should be. It will be what it will be. What matters most is this moment. Who I am now and who I am creating myself to be. This current version of Erin is no longer making life decisions based upon past circumstances or the things she envisions for her future, but rather from who she is today and how she would like the future to feel. She would like the future to feel very much like it is today: filled with love, passion and purpose. Coincidentally enough, yesterday I had written a few unintended draft pages where I went on a tangent about how out of all of the things one might reasonably assume is a problem in my life based on my openness about anything and everything that I don’t have too much pride to shamefully hide.. is that the one of the most troubling struggles I have had this past decade comes down to a bit of an identity crisis and understanding who I am. As you mentioned in this post, there are plenty of people that fit in a pretty little box and never really change, but then there are definitely people much like ourselves who just become so complex of an enigma to bother trying to figure out where it is easier to think we are crazy. So much about me has extremely contradicted things about me not long ago and trying to define anything about who I am just becomes increasingly impossible as I change more unpredictably every new day. I’ve had to learn to not hold it against people when I’m annoyed at their inability to understand me or where I’m coming from because if I am learning that every day, no one will likely ever understand or really know who I am, but rather pieces of me and randomly insights that were shared with them alone..almost as if it were a clue or part of a puzzle they would have to bring to my funeral with everyone else and put it all together to figure me out and really understand and make sense out of it.. which is a partial purpose of the book I’m even writing..putting my puzzle together and not leaving this existence as an unsolved mystery. Anyhow.. I went through a lot of the same things you seem to be going through when I had just turned 30 the other year.. and all I can tell you is that it all just gets more confusing and at worst, we gotta have fun with it and enjoy each day in our own ways.. and from what I can see, you’re doing it right Ms. Stafford.. I’m happy for you and excited you get to experience the journey you’re on.